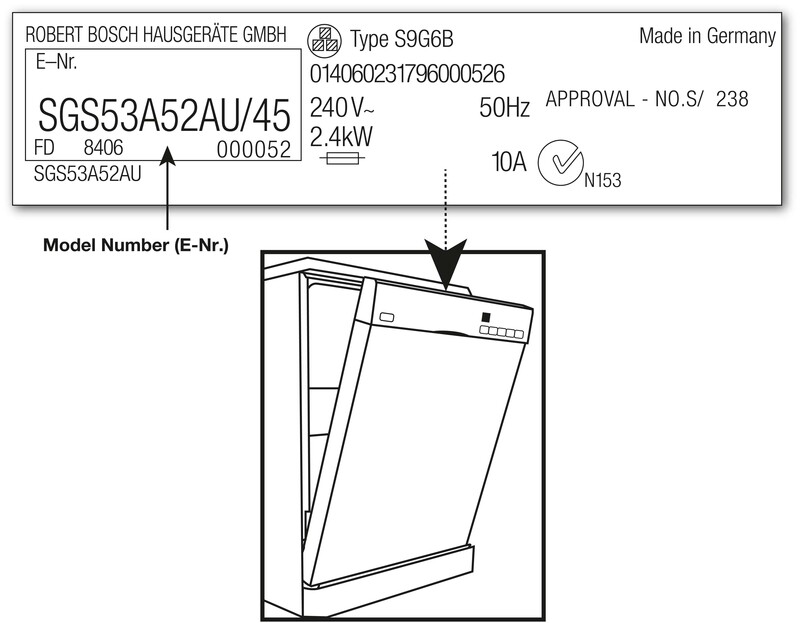 BSH Home Appliances has today announced the recall of around 63,000 Bosch dishwashers manufactured between 2000 and 2006. This recall does not require the dishwasher to be returned to the manufacturer; all that is needed is for a service technician to visit the home of affected units to replace a part in the dishwasher. This repair will take approximated 45 minutes and can be arranged with seven working days of a consumer making contact with BSH Home Appliances via its dedicated hotline: 1300 369 744. “Reflecting its commitment to safety and quality, BSH Group’s global quality and control processes have identified that some affected model dishwashers may potentially develop cracks in the printed circuit board within the control module,” said BSH Home Appliances. BSH Home Appliances has identified 15 reported instances in Australia and is currently investigating two more failure reports. Affected users are advised to cease using their dishwasher immediately and to unplug the appliance from the wall socket. SGI4335AU, SGI4345AU, SGI4347AU, SGI43A25AU, SGI43A45AU, SGI43A55AU, SGI4705AU, SGI4715AU, SGI53A55AU, SGS4332AU, SGS4352AU, SGS43A92AU, SGS43B22AU, SGS43B42AU, SGS4702AU, SGS4712AU, SGS5332AU, SGS53A52AU, SRI43A05AU, and SRS5302AU. “BSH believes that the product issue only occurs while an affected model dishwasher is in use and only during the relatively short phase in the operating cycle when water is being heated to the required temperature. BSH Home Appliances dedicated hotline — 1300 369 744 — is operating Monday to Friday from 9am to 5pm. There is also dedicated website: bosch-home.com.au/repair. My Bosch dishwasher SMS50E32AU has failed showing an “E3” indication. I have a receipt showing purchase 25/03/2013. I believe the dishwasher is under warranty. How can I establish this and have repairs done? I am at Kenmore, Brisbane 4069. We have a dishwasher SG14335AU/30 . Is this recall still on? We live in New Zealand. We have one of the recall models and live in NZ. Is this still on? My Bosch dishwasher model number SCS46M72AU/01 blew up in the middle of the night – could smell burning. It had not been in use for 2 days. It was only used about once a month. Has this been a problem for anyone else. Need to replace it but am not sure about trusting another Bosch model. My Bosch Dishwasher is leaking grease or oil from the floor on the bottom left side. Model No. SMS63MO8AU.It is just 4 years old. When I phoned you, they mentioned another call was received the same week with the same complaint. Please reply. We are not Bosch – we are an independent media site. You need to contact Bosch directly.